Six months later I began feeling occasional lightheadedness and experienced several fainting spells. I was eating well, perhaps better than at anytime in my life, but noticed I was losing a few more pounds without trying and experiencing stomach pain. November, December and this January were rollercoaster months of feeling good for a few days and lousy for about the same. A few of the flair ups occurred while traveling and it made working at my normal pace a challenge. I returned to the doctor’s office on a Friday afternoon and met the physician who’d taken over for my previous doc, who is now working somewhere in the Midwest. I caught him up on the latest and he was curious, cautious and concerned. The doctor offered one possible theory — Crohn’s disease — before ordering several tests and saying my results and their explanations would probably be posted on my secure, online account within a week. Two days later, on a Sunday night, sometime during the third quarter of the Super Bowl, my phone rang. I stood from my chair and walked into another room. The doctor spoke slowly, methodically and apologized for calling at such an odd time. I braced myself for all sorts of possibilities from cooties to Crohn’s to cancer. Isn’t it ironic that the five longest minutes of my life convinced me I didn’t have that many minutes left? In time, the doctor explained I was anemic and that he would put me on iron. He also said my profile resembled someone malnourished, a man who might struggle to get three healthy meals a day. The doctor said he would refer me to one of the areas best gastroenterologists. This digestion tract specialist would launch a camera down my throat, peek around my stomach, take a biopsy and see what sorts of treasures might be discovered. The doctor gave me a brief description and apologized if the timing of the call had made my heart race. We hung up and, naturally, I rushed to Google all I could about celiac. Because, as everyone knows, there’s no more accurate source for medical information and for highly accurate self-diagnoses than the Internet. A few days later, I went in for my esophagogastroduodenoscopy and asked if they would give me the procedure for free if I could spell it. Given how complex the procedure is, I was astonished at how fast it all unfolded. I was registered, given a fashionable bracelet, IV and was conked out in less than 30 minutes. Then, just 20 minutes later, I was on my side in a new room looking at my wife. During the muggy, mostly cloudy minutes of recovery, the gastroenterologist came in to show my wife pictures of my esophagus, stomach and intestines. I have no recollection of it, but both my wife and doctor claim that I raised my head and asked if he’d found a $100 bill down there. Reportedly the doctor said if he had, he would have been obligated to keep it. Apparently not content, I then asked if he’d found any quarters or, better yet, gummy bears. This time he offered my wife a confused look and continued with his show and tell of my insides. Celiac is an autoimmune disorder where eating gluten — a protein found in wheat, barley and rye — causes damage to the small intestine. 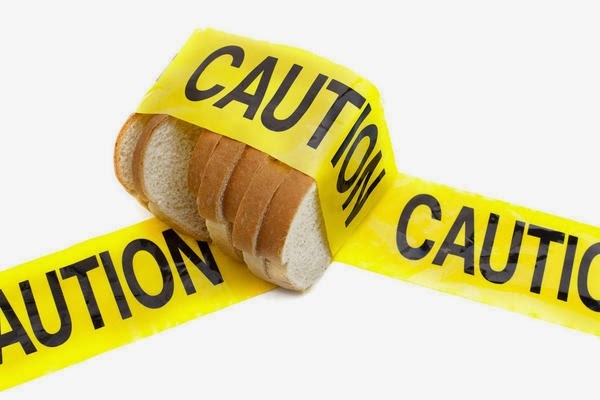 When people with celiac eat gluten, the body ignites an immune response that attacks the intestine. This damages the walls and makes it difficult for the body to absorb nutrients. In short, it’s not an uncommon disease and at some point in the last six months, my body decided that it was no longer a member of the wheat, barley and rye fan club. Though there is no cure for it, it is treatable by managing a strict, gluten-free diet and, at least in my case, taking iron to help the body create red blood cells to carry oxygen along my body’s freeway. Ten days later, the gastroenterologist called to say he’d seen no surprises in the biopsy and that his suspicions were correct — celiac. My body has been damaging itself for months, and he warned me it would take a long time for everything to heal. “Your recovery will be a marathon,” he said. It’s only been a few weeks and I’ve learned how common the disease really is. In fact, I presume many will read this article and comment that they, too, have something ranging from mild gluten intolerance to classic celiac. While adjusting to a diet void of everything I love — Lucky Charms, bread, bagels, etc. — I’ve gotten mileage out of my newfound excuse. Even my kids are already rolling their eyes. In my quiet, complaining moments eating yogurt, bun-less hamburgers and salads, I reflect on the five minutes on Super Bowl Sunday night between answering the phone and the suspenseful moment he put my greatest fears to rest. What a pity I endured some anxiety. What a shame a diet change means giving up a few foods I love. What about all the friends and family I’ve known whose phone calls or doctors’ office visits ended very differently? They’ve been hit with so many tests and consultations that ended not with new diets, but with discussions of survival rates. In fact, just in the last month, while I’ve been coping with my tummy aches, two very dear friends have dealt with prostate cancer. Seriously, no more doughnuts? Woe is me, right? I suspect it won’t take long to adjust to my new menu and, hopefully, my body will heal as promised. I don’t know the timing, but at least I know the whys. If you see me at your school, book signing or speaking gig and I politely decline your homemade sweet rolls, you’ll know why, too. No, I’m still not dying, but I sure am skinny and I do have celiac disease. I better get to the dishes.